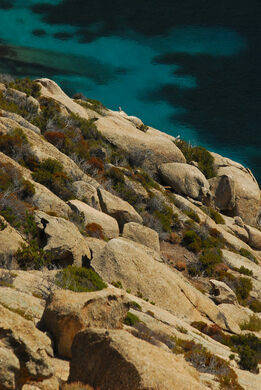 The forbidden island of the Tuscan Archipelago may still contain buried treasure. Everyone has heard of it, or at least of its “Count,” but few are actually allowed on this forbidden island. Artist Diego Morlin's war between the natural and human worlds is a wanderer's delight. 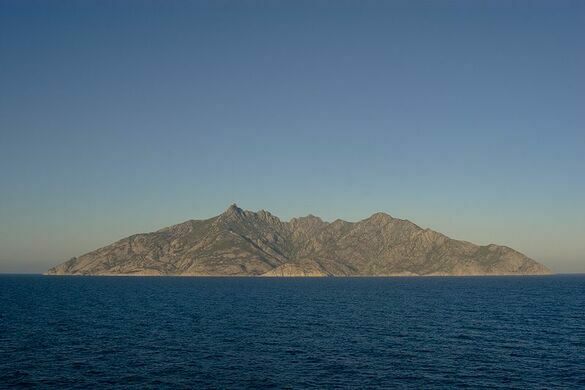 Montecristo, or “The Mount of Christ,” is a tiny island in the Tuscan Archipelago, halfway between Corsica and the Italian peninsula. It might have remained just another small Mediterranean island, had the island not been vaulted to lasting fame by Alexandre Dumas’s The Count of Monte Cristo. This volcanic island-paradise was known to both the Greeks and the Romans—the former naming it Artemisia, and the latter Mons Jovis. The fifth-century bishop of Palermo, St. Mamiliano, took refuge here when the Vandals sacked Sicily. According to legend, Mamiliano fought and killed the dragon who guarded the island, then renamed it Montecristo and founded a monastery. Despite the prominence that the Monastery of San Mamiliano attained in the Middle Ages, in the sixteenth century, Montecristo was seized by the notorious Turkish pirate Oruç Reis (known in the West as Barbarossa, Redbeard), igniting rumors that the wealth amassed by him and his successor, Turgut Reis (Dragut), was stashed away in a hidden grotto on the island. Other legends speak of treasure hidden by the monks of San Mamiliano when Dragut pillaged the monastery in 1553. Alexandre Dumas visited Montecristo in 1842 and was so impressed by its natural beauty and “smell of thyme and broom,” that he made it the setting of his novel (though the actual island does not correspond closely to the novel’s descriptions of it) and drew on the tales of its hidden treasure for the plot. Access to the beautiful volcanic island today is controlled by the Italian government, but you can apply for a day-visa. Whether the stories of treasure are true or not is hard to say, and the Italian government isn’t about to permit visitors to go digging around to find out. Treasure-filled or not, the island is certainly a natural treasure and is almost entirely undisturbed by man. Today, the only visible man-made structures are the ruins of the monastery and the Villa of Cala Maestra. 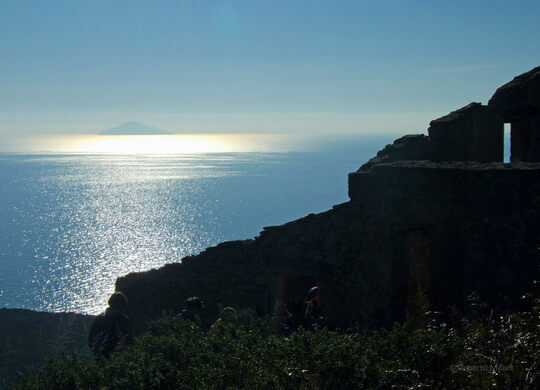 Take a giant yellow bird cage to the top of Elba's highest mountain. An unusual house built using an iso-elastic membrane. This remarkable checkered church on a Corsican hilltop is fabled to have been built by angels. Walking through this narrow gorge will make you feel like you've fallen into a fairytale landscape.